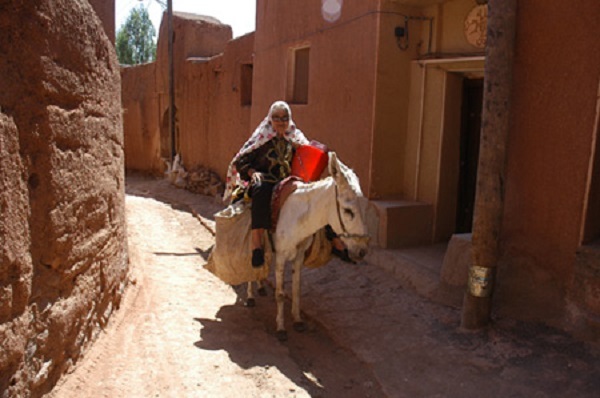 Village of Abyaneh is one of the Iranian historical villages that contains some works from Sassanid period to the present time. It owns several unequal attributions just like the unique temple of “Herpak”, a Chief mosque with a unique mihrab from Seljukian period, houses harmonious with climate and mountainous land. One can see Sassanid Pahlavic words in daily conversation as well as villagers’ clothing that is rooted in earlier times. 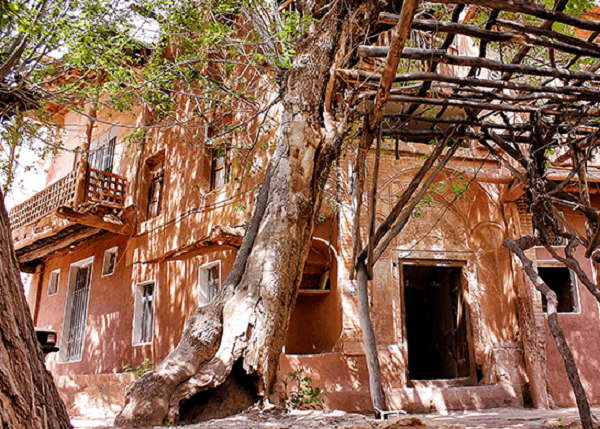 Abyaneh is a beautiful historic village at the foot of Karkass mountain 70 km to the southeast of Kashan and 40 km to Natanz. 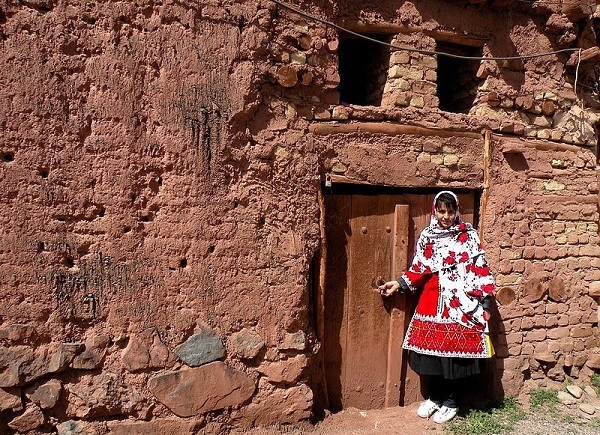 This is a village of living traditions,architectural styles (all in red clay), and probably the most interesting example of human adaptation to nature, wherein one can transcend thboundaries of time and space and experience the ancient civilization and culture of Iran. The village is compact, with narrow and sloped lanes, and houses located on the slope as if placed on a stairway. Here, the roofs of some houses are used to serve as the courtyard for other houses higher up on the slope. 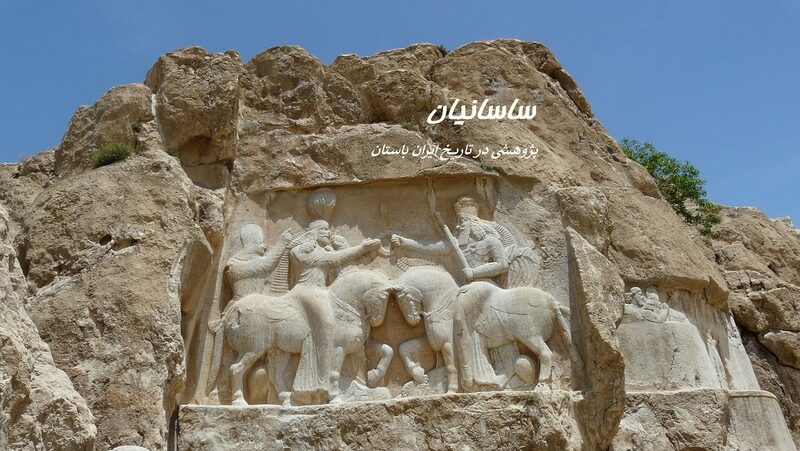 The language spoken by the literate people of Abyaneh is Parthian Pahlavi. 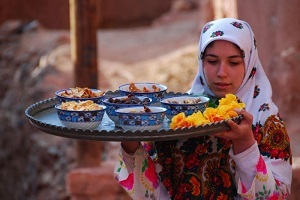 They are deeply committed to honoring their traditions. 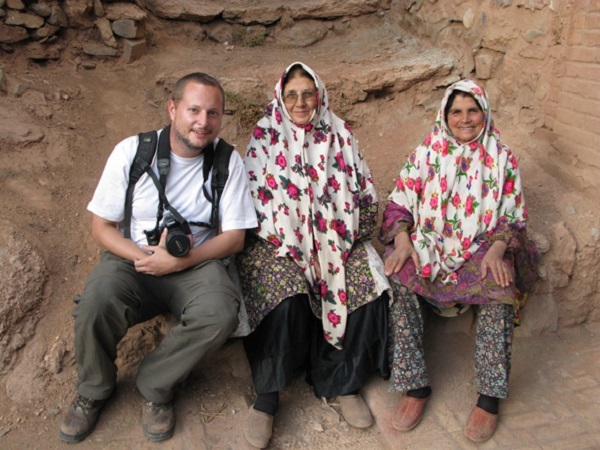 No matter how well-educated a person from Abyaneh might be, he or she puts on the traditional Abyaneh costume on coming back to the village from anywhere in Iran. 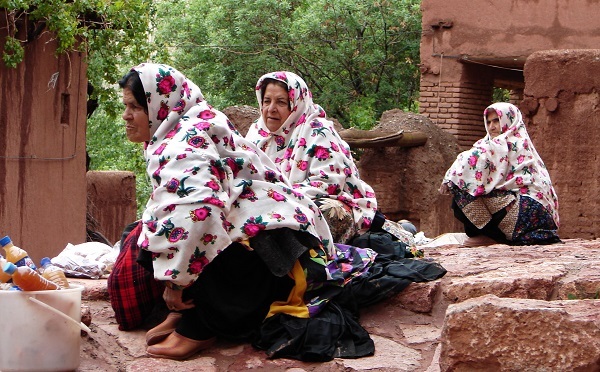 The women’s traditional costume consisting of a scarf with floral motifs and pleated pants, is particularly attractive. 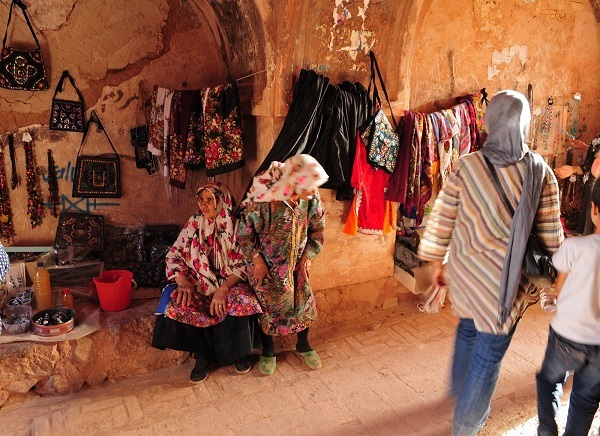 The Abyaneh woman is unseparably attached to her wedding gown inherited from her mother, and is expected to pass it on to her daughter. It bears Such an intrinsic value for her that she wouldn’t sell it at any price. 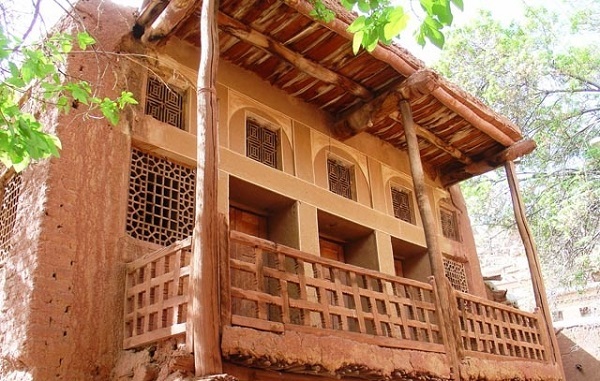 There are a good number of old houses in Abyaneh, among them the homes of Gholam Nader Shah and Nayeb Hossein Kashi. In addition to the Zoroastrian fire- temple (from the Sassanian period) in the village, there are three castles, a pilgrimage site, three mosques named Hajatgah, Porzaleh, and Jam’e, all worth a careful visit. Altogether there are eight mosques in the village. The Hajatgah mosque, built next to a rock, dates from the early Safavid period, according to an inscription on top of its door. Inside the mosque there is a beautiful nocturnal prayer hall with wooden capital pillars. Porzaleh mosque, built during the Ilkhanid reign in the oldest part of the village, has a very vast nocturnal prayer hall. The ornamentation used here look very much like those of the tomb of Bayazid of Bastam, the great Persian mystic. 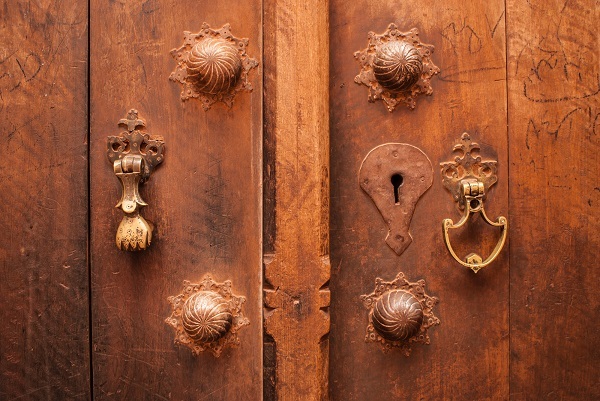 The Jam’e Mosque of Abyaneh dates back to the eleventh century. There are a number of inscriptions and a manbar (pulpit) in the mosque. The interesting thing is that the pulpit has many features similar to the architectural elements and column heads seen in Persepolis. 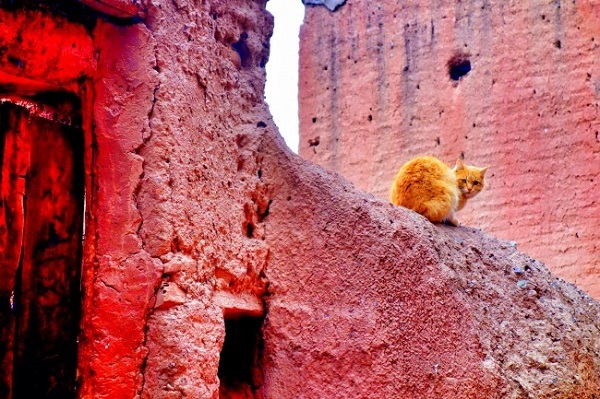 And beautiful and cute cats are living here or there, so you have the chance to see them visiting these historical places in Abyaneh.